How did you first become aware of the Zeitgeist Movement, or the zeitgeist films? If the Internet, what were you searching for? How much do you understand about The Zeitgeist Movement? have you any skills, training, knowledge or abilities that may be of particular use to TZM? What are you looking for from our Group? What London Borough (or area - or anywhere outside London) do you live in? 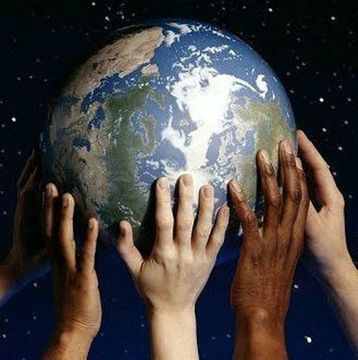 We promote a sustainable global society, a humane environment and address the root causes of persistent social problems. The Zeitgeist Movement (TZM) has a vision of A Natural Law/Resource Based Economy as an eventual sustainable solution to these problems. We're not here to try to "convert" or blindly convince. We're presenting information to give you a better tool to see the world as it is. What does that mean - to see the world as it really is? That's something that you yourself will have to determine and that's one of the things we highly value; your individual ability, as well as ours, to come to an agreement and to act upon this. We work to make an open-ended train of thought become realized by the individual, hopefully empowering their independent ability to understand its relevance on their own terms, at their own pace. We need to live within nature's limits, strategically manage our resources and monitor our environment to avoid pollution and imbalance - common sense really. TZM are loyal to a train of thought about connecting our economic process into understandings about what sustainability is; how the world operates as opposed to the Market/Monetary system, which is completely out of sync with nature's physical law system and processes. The Market was born in the midst of overwhelming scarcity in the past, property rights and trade are excellent mechanisms in such a world. However, today the great shift is towards Global abundance, which technology has now made feasible, enabling us to meet Human needs directly. Hence this pattern of competitive economic behaviour is no longer needed. We live in a powerful new epoch of possibility where we can elevate humanity to a new social state of peace and stability, while restoring the integrity of our shared habitat. Changing times demand changing people. Together, behavioural change and technological change can help to leave all our bad habits of unsustainable practices behind. TZM use systems thinking by viewing "problems" as parts of an overall system. The component parts of a system can best be understood in the context of relationships with each other and with other systems, rather than in isolation. Systems thinking focuses on cyclical rather than linear cause and effect. TZM are about facilitating access to information, to affect the social mindset, helping our communities to bring about this revolution of thought. 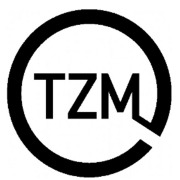 TZM are an activist-communication-educational-organising tool, as one means of transitioning to the new economy. Founded in 2008, The Zeitgeist Movement (TZM) is a sustainability advocacy group that operates through a network of regional chapters, project teams, public events, media expressions and charity operations. TZM's activism is explicitly based on non-violent methods of communication with the core focus on educating ourselves and the public about the true root sources of many common personal, social and ecological problems today, coupled with the vast problem solving and humanity improving potential, science and technology has now enabled, but yet goes un-applied due to barriers inherent in the current, established social system. We go into Schools with the idea's. 'Zeitgeist' - means the general moral, intellectual and cultural climate of an era. 'Movement' - we work to promote that shift in values from which major social change will emerge. Our activities include the Zeitgeist Film Series and Episodes of 'Culture in Decline' - viewed up to hundred's of million's of times globally (available on You tube). By using Social Media and opportunities on TV stations (such as Russia Today) the idea's of a NLRBE have reached a whole new generation of those seeking change. This is also translated into other forms of communication - books, pamphlets, leaflets, Meetup Groups, Town hall meetings, communication across different campaign and political groups, transition towns and so on. TZM is an umbrella organisation, which embraces any form of sustainability moving towards the new economy. There is of course, nothing stopping anybody from taking this info and doing with it what they think is effective on the ground. 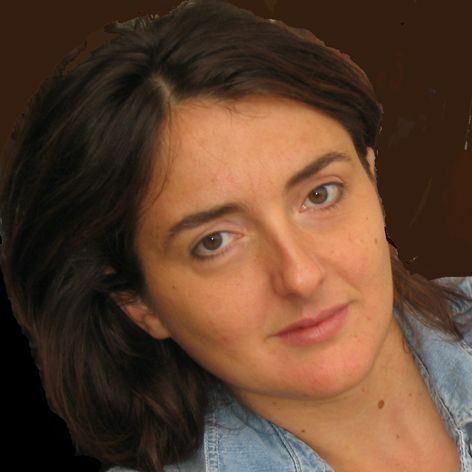 Some London Geisters are active in the Open-Source Matrix; Off-Grid living projects; Cybernated Farms; going into schools; local community action; starting political parties; Basic Income campaign's; 'Non-Violent Communication' Practice groups; joining de-centralised bottom up protest organisations; organising food & Time banks; promoting tech solutions - Aqua/Hydroponics; developing "RBE Based Intentional communities" Co-Op's; permaculture and so on. This info also affects our own personal patterns of consumption and to educating ourselves as to the reality of the world we live in. The question that TZM probably gets the most is "What is your transition plan?" The simple truth is - there is no concrete plan. The shape of the future will be determined by a mix of factors, processes, events and players, which can only partially be predicted. However, that doesn't mean we should all just sit back and hope things turn out well. We can act now to help society shift to a world which embraces the values of sustainability. There's several stages in a transition. Stage 1. is the transfer of information - 'informing the zeitgeist' as it were. Success at this stage can be measured by the contagion of ideas. When an idea reaches critical mass (estimated at 10% of the population) it begins to spread on its own and seeps into all levels of society. We need more people speaking out, writing articles, making video's; getting this information onto the national & international stage. Read 'TZM Defined' and watch the 'Economic Calculation' video (below) for more on transition. Can you resolve these three questions/problems logically without realizing the need to remove the Market Economy? These are questions that every news show, every socially conscious media outlet or activist personality should be addressing.